A man who was at an orphanage in the 1960s has told Scotland's Child Abuse Inquiry there was a "culture of evil among religious orders" at that time. The witness said that hunger forced him to eat grass while living at Smyllum Park orphanage in Lanark. Punishments during his four years there included being locked in a fire escape and pushed into a toilet. He told the probe: "I don't believe I was looked after. The word 'looked after' is meaningless to me." A witness told Scotland's Child Abuse Inquiry that he was "never happy" during his time in Lanark and was frightened of almost all the nuns in charge. 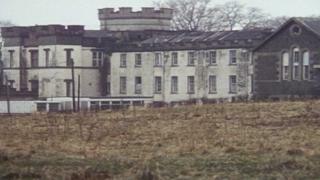 The public inquiry sitting in Edinburgh is continuing to hear evidence about people's experiences of living at Smyllum Park, which closed in the 1980s. The latest witness, who cannot be identified, was admitted to the home in the early 1960s at the age of two. He told how he finds it hard to eradicate certain "horrible" memories from his mind, telling the hearing: "I just remember that I was never happy." Asked about food at Smyllum, he said: "I just remember I was always hungry. I don't remember food." He added: "I do remember eating grass because I was hungry." The witness said he was frightened of all of the nuns except one and has described one individual as being "evil". "She was always shouting and screaming, she was a horrible person," he said in a written statement submitted to the probe. And he told Colin MacAulay QC, counsel to the inquiry: "I remember just being treated like a non-entity. I don't have any recollection of any kind of positive interaction, any kind of love and affection." He recounted one incident, when he was aged three or four, during which a female staff member pushed him by the shoulders "into the toilet". "I was hysterical, I thought I was going to disappear into the toilet," he said. He also told how he became fearful of the dark after being left in a fire escape as a punishment following a pillow fight. He said: "I just remember being there for what seemed like forever. It was awful, just awful." The inquiry heard that the witness was later moved out of Smyllum into foster care and other homes, at which point he received help from a priest. He told the inquiry: "Although there was a culture of evil around religious orders at that time, there are good people in this world." He added that he believes that religious orders should pay damages for past wrongs, saying: "There has to be accountability, no matter who you are, and the religious orders should not be treated any differently."